The Indie Series Awards (formerly known as the Indie Soap Awards), honoring the best in independently produced scripted web series, are coming to Los Angeles in celebration of our 5th year. The gala ceremony will be hosted by actress Carolyn Hennesy, star of General Hospital, True Blood, Cougar Town, and the upcoming indie web series Acting Dead. Once again the Indie Series Network and team behind We Love Soaps will be presenting The ISAs, but this year we have some exciting news to share. Susan Bernhardt from Leonian Pictures and their Special Events division has come aboard as producer of the event. The early entry period is now open for The 5th Annual ISAs. From now until December 31st at 11:59 p.m. EST web series that submit will receive a discounted rate. Submissions will continue to be taken until January January 20th at 11:59 p.m. EST at the regular price. Nominations will be announced on February 5th, 2014. This year's event will honor the best of the web in 26 categories. 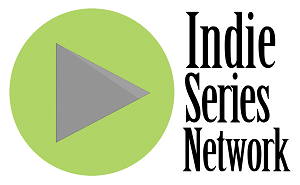 Enter the Indie Series Awards (ISA5) by December 31st at 11:59 p.m. EST for discounted price.